Do you often feel gassy, bloated, have abdominal pain and/or have constipation, diarrhea or alternations or of both? You may have irritable bowel syndrome or IBS. Most us don’t talk like to about our bowel habits. 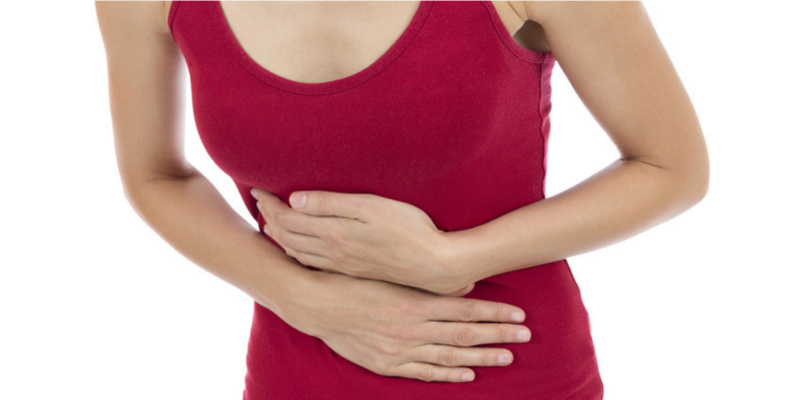 But did you know that 1 in 7 adults has irritable bowel syndrome? For many years, it was thought of a condition that “stressed out” people got. But we now know that it’s a real medical condition with a wide range of GI symptoms. I have been seeing this more and more in my private practice. The symptoms can range from annoying to debilitating. There is no one single proven treatment for IBS. But the good news is that diet has been shown to play a major role in alleviating symptoms in ~70% of people. 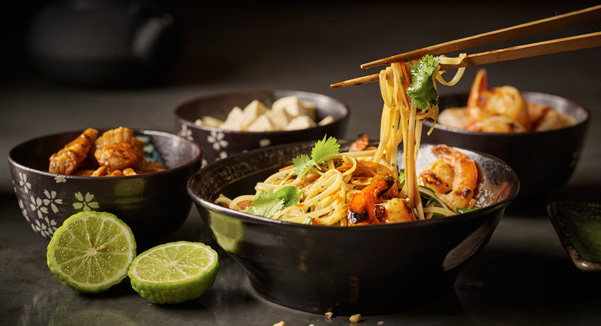 Read on to learn more about the Low FODMAP diet for IBS. April is National IBS Awareness Month so I thought this was good timing for this post. 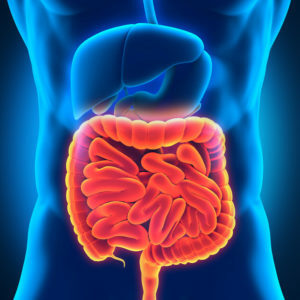 – In some cases, overgrowth of bacteria in the small intestine (SIBO) may occur. -Abnormal motility (gut muscle function) may be a problem for some people with IBS. – People with IBS may experience more pain than other people do from sensations that occur when excess gas or fluid build up in the large or small intestine; we call this visceral hypersensitivity. Neurotransmitters such as serotonin, which also regulate mood and response to stress, are certainly involved. – Immune activation and inflammation are emerging as IBS triggers, as well. – It’s also been shown that a bout of food poisoning can cause IBS. I clearly remember my first patient with IBS 6 years ago as I was fresh out of my IBS & Low FODMAP diet workshop by Kate Scarlata RD and Patsy Catos, RD. I was skeptical but hopeful that the Low FODMAP diet would help her. She was a 28 year old lean, athletic female with IBS and suffered from bloating, gas and constipation. In attempts to alleviate the constipation, she followed a high fiber diet with a lot of vegetables, apples, bran cereal and Quest bars. She was always trying to lose a few pounds to better fit into her pants (due to bloated stomach) – however she was quite thin and didn’t need to lose weight. I told her we were going to do an experiment with the Low FODMAP Elimination diet. She cut out all the potentially problematic foods and felt 90% better within a week. After the 4 weeks, we began the “challenge phase” and were able to pinpoint which group of carbohydrates triggered her symptoms. She is now symptom free for the most part as long as she avoids/limits her trigger groups of fermentable carbs. If you have no clue what these foods are, you aren’t alone! Basically, they are natural sugars that are found in many foods and food additives that can be difficult for people with IBS (as well as other gastrointestinal conditions) to digest. These short-chain carbohydrates (sugars) aren’t absorbed properly in the gut and can trigger symptoms mentioned above. FODMAP is an acronym for Fermentable Oligosaccharides, Disaccharides, Monosaccharides and Polyols. The main thing to know is FERMENTABLE. But here’s the thing – FODMAPs are usually found in the foods that we are told to eat for GOOD health! So the more you eat of them, the worse your symptoms may get. So how do FODMAP’s trigger symptoms? This diet was first developed by Dr. Sue Shepard in 1999. Much of the research comes out of Monash University in Melbourne, Australia. The Low FODMAP diet has been published in international medical journals and is now accepted and recommended as one of the most effective dietary therapies for IBS. 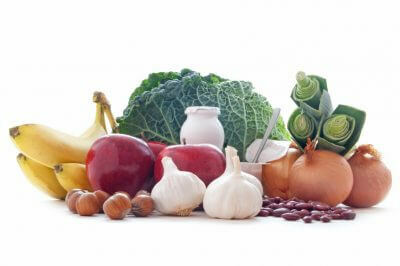 -Oligosaccharides found in fructans and GOS: wheat, rye, onions, garlic, artichokes, inulin, red kidney beans, cashews. -Monosaccharides found in excess fructose: high fructose corn syrup, honey, agave, and fruit including mango, and watermelon. Note: this doesn’t mean you need to stay away from all these foods if you have IBS. You’ll do a little experimentation to see which of them worsen your symptoms by trying the Low FODMAP elimination diet for 2-6 weeks. You will then systematically add in one group of fermentable carbs at a time and pay close attention to symptoms. By the end of the reintroduction phase, you should have a pretty good idea of which foods worsen symptoms and which are ok. The Low FODMAP diet consists of 2 parts: the elimination phase and the reintroduction phase. Work with a nutritionist who specializes in Low FODMAP diets. The elimination diet and reintroduction of foods can be quite confusing. You want to do it correctly! Take detailed notes when introducing new foods in the “challenge” phase. This is when you and your nutritionist put your detective hat on! There has been more research going on in the past few years, but we need a lot more … especially since it effect 1 out of 7 people! 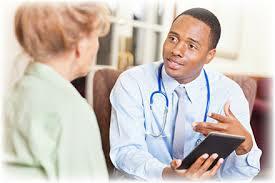 Find a good team – gastroenterologist and registered dietitian to work with you. Consider other areas like stress management, mediation and exercise. While stress does not cause IBS, it certainly can aggravate it. Keeping in mind that our gastrointestinal tract has more nerve receptors than our spinal cord. I can’t say enough good things about Kate and Patsy so be sure to check out their sites! Does Your Energy Bar Give You Gas?